Great Starter Or Retirement, Well Maintained Home, Located Minutes From Canal Lake. Situated On A Large Lot With 24X36' Workshop Or Garage With 100 Amp Service And Radiant Heat. 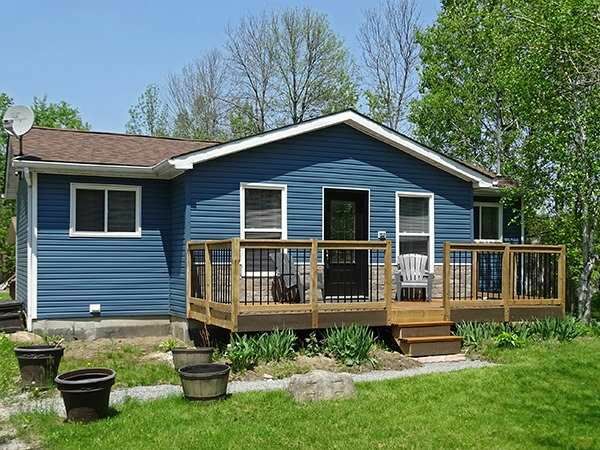 3 Bedroom, Bright, Open Concept Bungalow, With Hardwood (Maple) Flooring In Principal Rooms. Many Recent Updates Incl. Siding, Deck, Windows, Front Door, Led Lighting, Kitchen And Bath Fixtures, Fresh Paint And More. Walk-Out From Living Room To Large Deck. Ready To Move In!